Already a fan of The Sea Rover’s Practice (being the only book on pirate tactics written by a former Navy SEAL), you can imagine I was looking mighty forward to Benerson Little’s next book, The Buccaneer’s Realm: Pirate Life on the Spanish Main, 1674-1688. 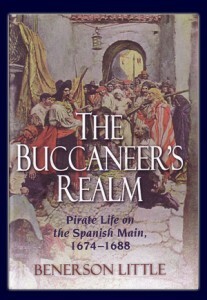 During my time running Bilgemunky.com, I’ve read many, many pirate books. And in doing so, I’ve developed exactly two heroes. The first was Kevin Rushby for possessing the wherewithal to truly – and I mean truly – explore the waters and cultures between Cape Town and Madagascar. And only now have I found a second author of truly heroic status. Benerson Little has written a book without precedent – a small tome of combat knowledge as it applies to our pirate forebears. 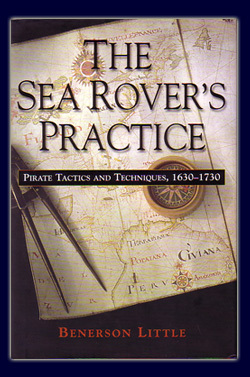 Be it ship-to-ship, hand-to-hand, or just plain deceit and cheating, the tactics are all here and explained in glorious detail. So why does this make Little a hero? Because he speaks from experience.